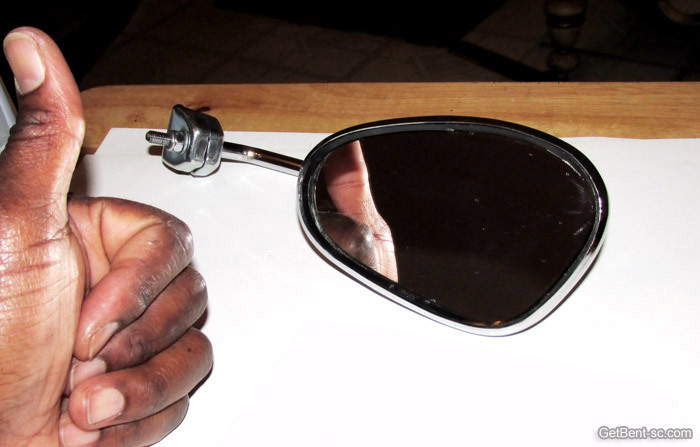 Aftermarket mirrors are easy to take apart. You can push down the mirrors center. 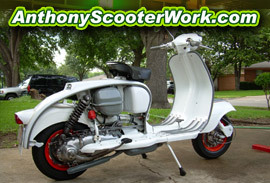 Shown in picture 1. 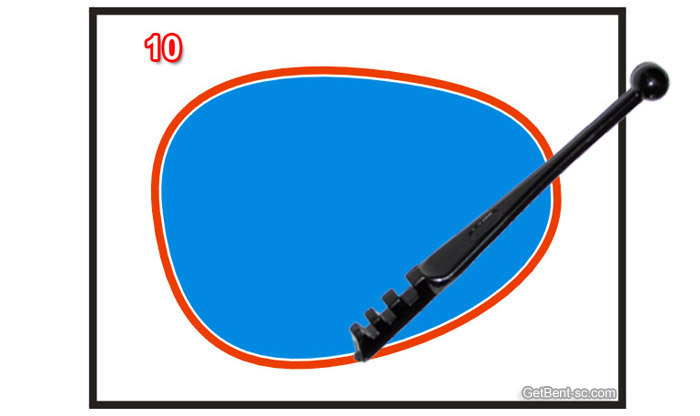 In picture 2, with the mirror pressed down you will see a space on the rim. Picture 3. 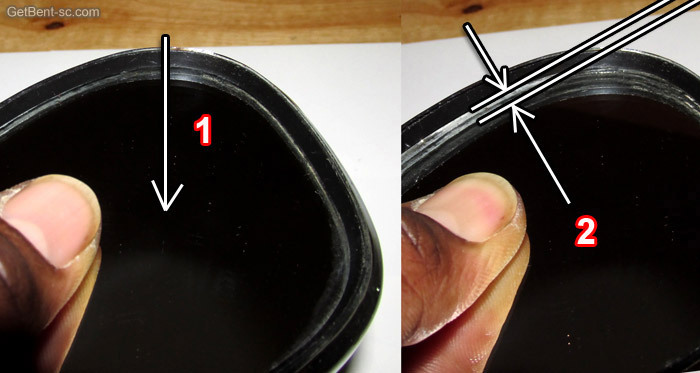 Remove the plastic rim. 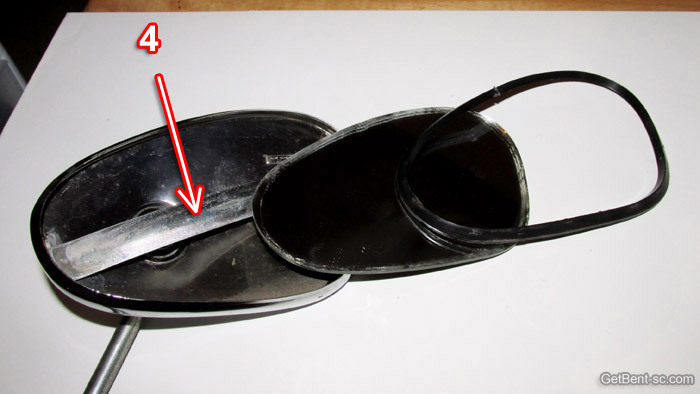 This plastic rim holds the mirror in place. 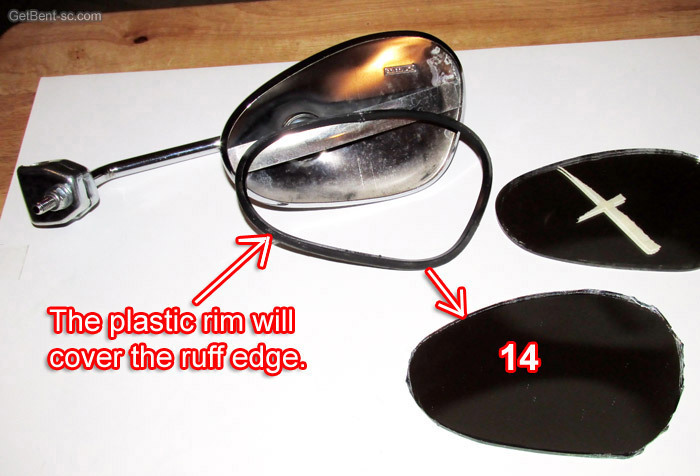 Picture 4 has the basic layout for most aftermarket mirrors. The arrow shows a flat spring. 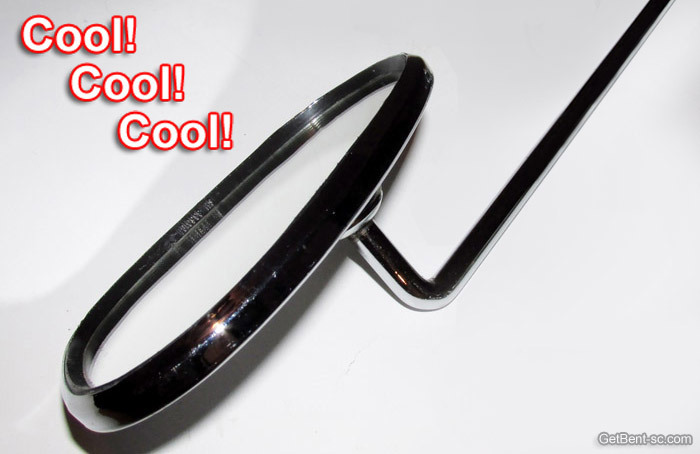 In most mirrors you will see a standard round coil spring. 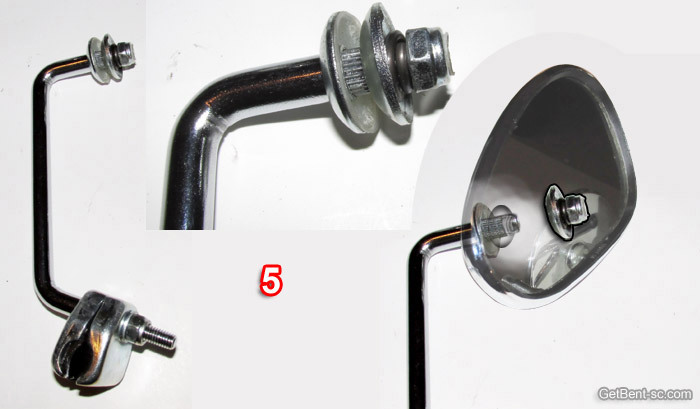 Picture 5 and 6 shows the parts that attach the rod to the mirror frame. 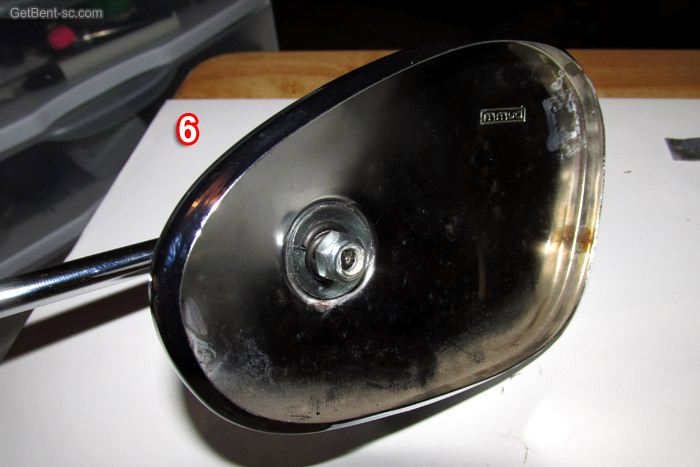 original cup washer parts with the mirror frame on the new rod. 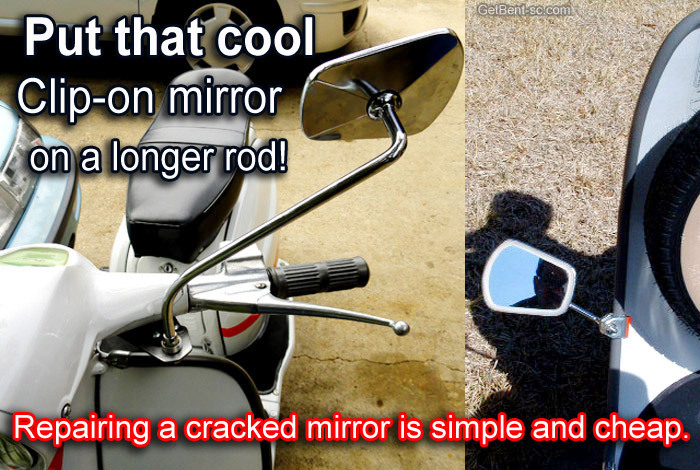 Repairing a cracked mirror is simple and cheap. I took a cracked mirror to a glass shop. They said it would cost around $40.00. 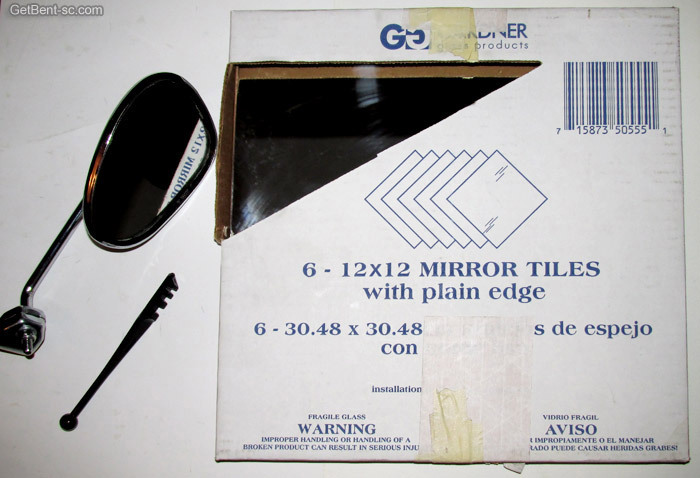 department of most hardware stores, they sale 12 x 12 mirror tile in a box of 6. 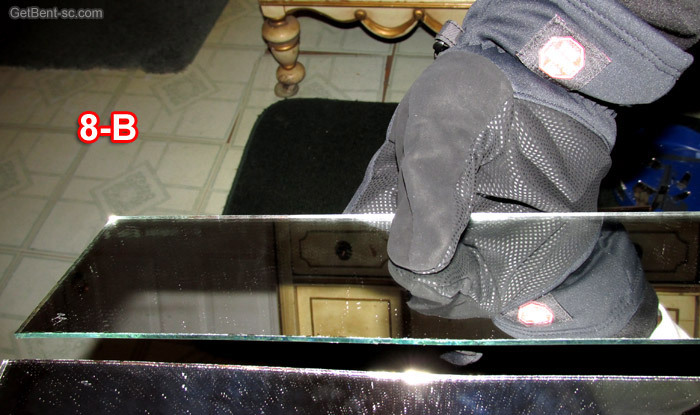 This mirror tiles are the same type that you find inside aftermarket mirrors. The cost was around $8.00 and the cutting tool cost $4.00. Picture 7. 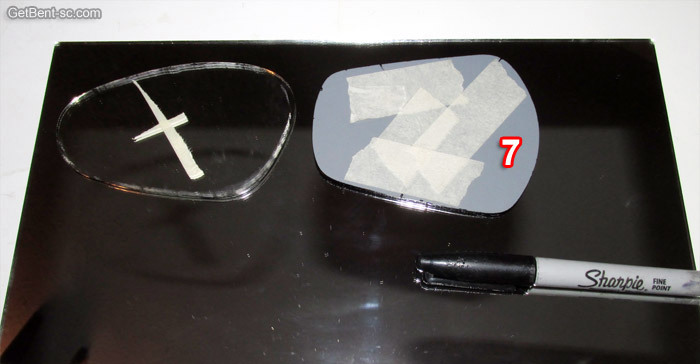 Taped your broken mirror back together to draw the shape you need. 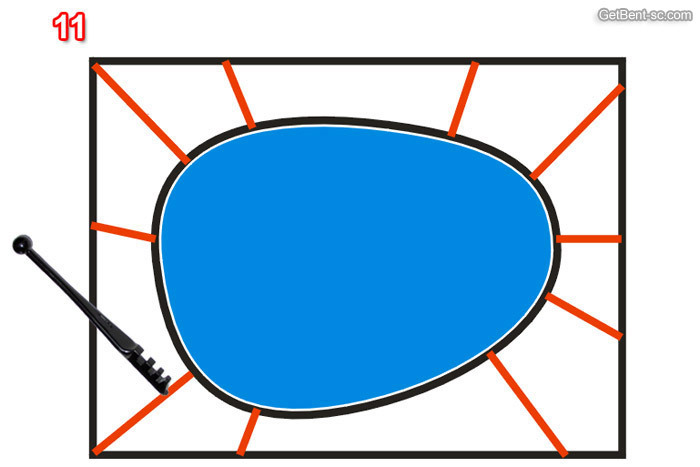 Always draw your shape on the mirror side. Not on the gray back. 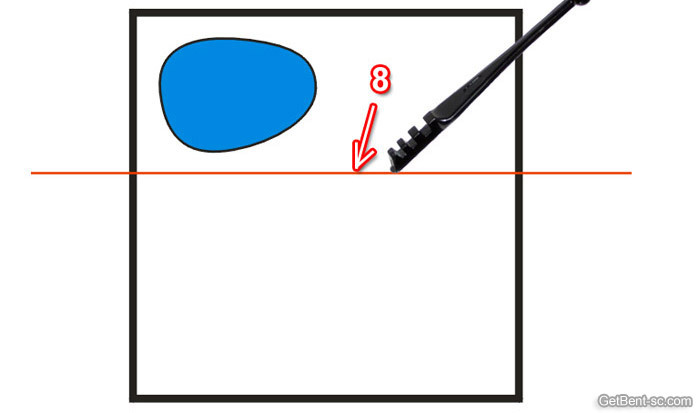 a ruler or a hard edge to draw the cut on the mirror shown on picture 8-A. Picture 8-B. 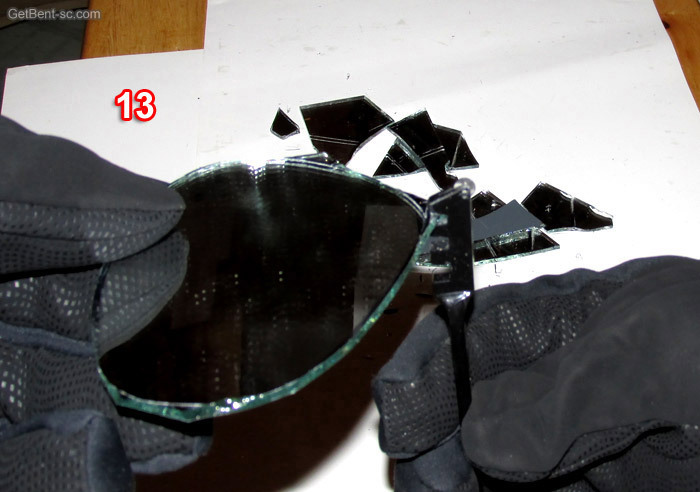 Always use gloves to break the mirror glass. Its good to break the first long cut over the edge of a table, for a clean break. then scribe the mirror more. Picture 11. Start the scribe from the mirror shape to the edges. Picture 12. Use your gloves to break the pieces off the edge. Picture 13. 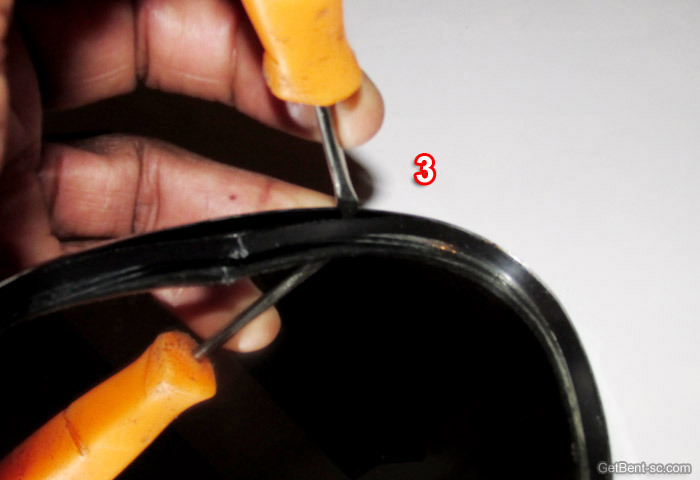 The glass cutting tool has a edge that breaks the smaller pieces off. 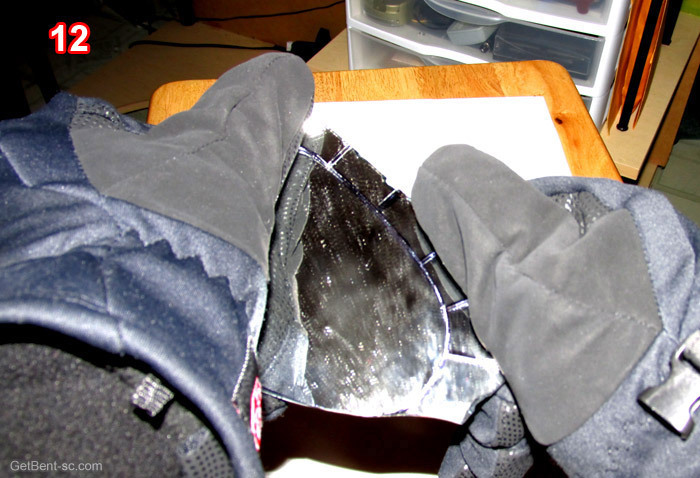 The finish mirror cost $15 with enough mirror glass leftover to make 36 more mirror. will cover the ruff edge. 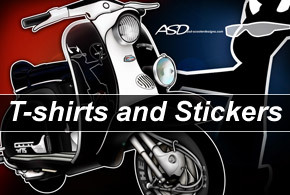 ___© Copyright 2014 GetBent-sc.com, All Rights Reserved.